Did Mary, Queen of Scots, play a role in the death of her second husband, Lord Darnley? The mystery may never be solved. What would prompt a Queen, carrying the child of her husband, to kill him? According to history, the reasons are varied and some even say, sound. 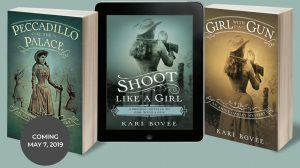 The evidence that put her life on the line lies within the mysterious Casket Letters. Mary, the only child of King James V of Scotland and Marie de Guise, ascended to the throne of Scotland at six days old. Marie de Guise sent her infant daughter, Mary, to France to be raised in the French court, while she ruled Scotland as Queen Regent until Mary became of age. At 16, Mary wed Louis, the dauphin of France, aged 15, as arranged by her mother and Henri II, King of France. Months later, Henri died due to injuries from a lance wound to the eye. 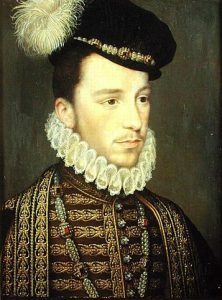 Louis, the eldest child of the King and Catherine de Medici, took the throne. An odd pair—Mary, vivacious, beautiful and tall, and Louis small, awkward, and fragile—the two had great affection for one another. At Louis’s death a year after their marriage, Mary went into deep mourning. Widowed, the teenaged Mary left France, the only home she’d known, and returned to Scotland. Required by her status to produce an heir, Mary needed to wed, again. The obvious choice–her first cousin, Henry Stuart, Lord Darnley. Both the same age, the two got along well at first, but Darnley’s fondness for drinking and other women didn’t set well with Mary. Also, he craved power and demanded she grant him the Crown Matrimonial. Knowing that to meet his demands would make Darnley King of Scotland at her death, she refused. During her unhappy marriage to Darnley, Mary befriended the Italian courtier, also her private secretary, David Ricco. Unhappy in her marriage, yet faithful to her duties, Mary became pregnant with Darnley’s child. Jealous of their relationship, Darnley accused Mary of an affair with Ricco, claiming she carried Ricco’s child and not his. At a small dinner party Mary hosted for her ladies-in-waiting and Ricco, Darnley had Ricco savagely stabbed over 50 times, while some of Darnley’s men held Mary at gunpoint. The incident made it impossible for Mary to continue with Darnley. 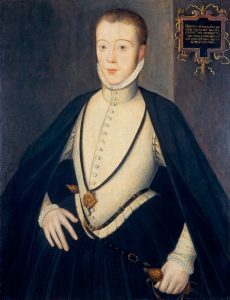 After the birth of her son, James, Mary sought help from James Hepburn, 4th Earl of Bothwell, and other Scottish nobles to remove Darnley from power, and Mary’s life. Divorce not an option for Mary, a Catholic Queen, she had to come up with something else. Darnley got wind of Mary’s plans and fearing for his safety, fled to Glasgow to hide out at his family’s estate. He soon became ill, with what might have been small pox or syphilis. Poison could not be ruled out, either. Mary pleaded with him to come back to Edinburgh. He agreed to stay at Kirk O’Field, a former abbey at the outskirts of the city. Mary visited him daily while he recuperated, and it looked as if there might be a reconciliation. However, on a February morning in 1567, Darnley was found dead in the gardens of the estate. An explosion devastated Kirk o’Field the night before. Mary, her half-brother James (Earl of Moray), and Bothwell were implicated in the murder. Bothwell stood trial. Acquitted in the absence of evidence, he declared his aim to marry the Queen of Scots, and received support from several lords and bishops. Bothwell and Mary eventually married, 12 days after Bothwell’s divorce from his wife. Again, Mary suffered an unhappy union, and the marriage proved unpopular with both Catholics and Protestants. It is unclear whether Mary loved Bothwell or not, if he somehow coerced her to marry him, or if she came to the marriage as a willing partner. Some records indicate that Bothwell raped her after he abducted her from Stirling castle, some time before they wed. The Peerage, twenty-six confederate lords, turned against Mary and Bothwell, and raised an army against them. Mary and Bothwell attempted to confront the lords with force, but Mary’s troops deserted. The lords granted Bothwell safe passage from the battlefield, but they took Mary to Edinburgh, and forced her to abdicated to her one-year-old son, James. Mary’s half-brother, the Earl of Moray, assumed the role of Regent, and to keep his power, turned against Mary. He handed over over “the Casket letters” to Queen Elizabeth, who now had the upper hand in her quest for Scottish rule. 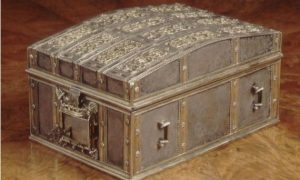 The Casket letters consisted of 8 unsigned letters from Mary to Bothwell, two marriage contracts, and love sonnets, nestled in a foot long silver casket bearing the monogram of King Francis II, Mary’s first husband. Elizabeth wrote to Mary, imploring her for the truth. 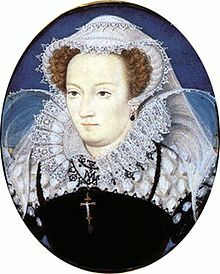 Mary denied writing the documents, but the situation did not help Mary’s cause, and many thought the letters proof of her plotting with Bothwell to murder Darnley. Years later, on 11 August 1586, after being implicated in a plot to assassinate Queen Elizabeth, (the Babbington Plot) Elizabeth had no choice and had Mary arrested. With the controversy of the Casket letters, and then the possibility that Mary might have plotted against the Queen of England, Mary stood as a constant threat to Elizabeth’s power, her throne, and her very life. In February of 1587, Elizabeth order Mary’s execution—a gruesome beheading that took several strokes of the axe. Did Mary have a hand in the death of Lord Darnley? If so, one could hardly blame her after the brutal murder of her friend and confidant, Ricco. Mary’s upbringing might lead people to believe she knew all to well the importance of maintaining royal power at any cost. She grew up in the court of Henry II, under the care of Catherine de Medici, France’s most famed wicked woman. 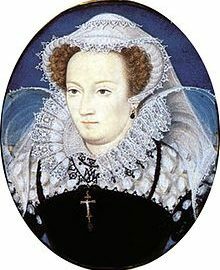 Yet, no matter how fierce her desire to maintain control of her crown and her country, Mary never demonstrated the same ruthlessness of d’Medici, or even her own husband, Darnley. Perhaps in his eagerness to wed the Queen, Bothwell used her to plot the death of her husband, and then take power himself. Did Mary love Bothwell, or did he serve as a means to an end? Did someone in Mary’s confidence betray her with the mysterious Casket letters? Historical data is never perfect. The mystery of the Casket letters and their implications in Mary’s guilt will, most likely, never be solved. The Mystery of Catherine de Medici – Wicked or Empowered? 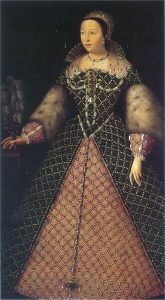 Orphaned only weeks after her birth, and passed around to several relatives before her internment in several convents, Catherine de Medici had a rough start in life. Like most children of noble families, Catherine maintained little control over her destiny. Born into the powerful Italian Medici family, whose members included two Popes, Catherine, as an only child, bore the brunt of her family’s successes and failures. When Catherine’s family lost control of power in Florence in 1527 by a rogue political faction, they took Catherine hostage. Parading her through the streets on a donkey, she served as a symbol of her family’s defeat. They then sent her to live in a convent until 1530 when Pope Clement, Catherine’s great uncle, took back Florence with the help of Charles V of Spain. Clement then set out to find Catherine a husband to help secure the family’s legacy. At 14 years of age, Catherine married 15-year-old Henry, Duke of Orleans, heir to the French throne. Eager for a happy union, Catherine soon discovered something different. Her husband loved another–Diane de Pointers, his childhood governess. Henry and Diane did little to hide their affair from Catherine. 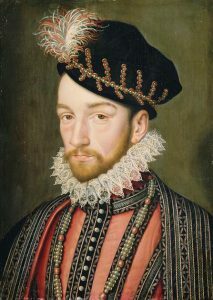 Once crowned King, Henri needed an heir to secure the Valois dynasty. Perhaps Catherine thought this would put an end to her husband’s affair, but it did not. Having to share her husband, Catherine also had to provide an heir. A task that proved impossible for 10 years. In her desperation, Catherine turned to methods that alarmed the French. Using the advice of known necromancer Cosimo Ruggeri, and the seer Nostradamus, Catherine went to great lengths to bear a child. It is said she drank the urine of pregnant mules and wore a talisman made of goat’s blood, metals, and human blood. As a Catholic people, the French saw these strange practices as witchcraft and Catherine as a practitioner of the Dark Arts. Finally, a true diagnosis for the lack of pregnancy came to light, and it had little to do with the queen. Henri suffered from a penile deformity. After medical consult regarding sexual positions to accommodate the situation, the couple conceived 10 children, 7 who survived. When Henri died from a brain infection caused by a lance wound to the eye, Catherine went into deep mourning. It is said her grief prevented her from attending the coronation of her eldest son, Francis II. But, it didn’t take long for Catherine to realize that she, as the mother of the King, and several more heirs, finally had control of her court, her country, and her own destiny. As one of her first acts of power, Catherine had Diane de Pointers banished from court. She then turned her full attention to the management of her children’s lives and the Valois dynasty. Two years after his marriage to Mary Queen of Scots, and one year after his coronation, Francis II, aged 15, died from an ear infection. His younger brother Charles IX, aged 10, succeeded him, making Catherine Queen Regent of France. Catherine dominated her son and the French court. Never known for her love and affection toward her children, Catherine made it her life’s work to secure their power. With the rise of Queen Elizabeth of England and the Protestant Reformation, Catholic popularity in France waned. French Protestants, called Huguenots, fought to overtake France. Eager to create a resolution, Catherine negotiated with protestant Jeanne d’Albret, Queen Regent of Navarre, to arrange a marriage between d’Albret’s son, Henri, to her daughter Margaret. Jeanne d’Albret agreed, but only if her son could remain protestant. Margaret, in love with Henri de Guise, protested the marriage. Catherine and King Charles had Margaret dragged from her bedroom, and beaten into submission. The wedding would take place August of 1572. In June, Catherine welcomed Jeanne d’Albret and her son to France. Catherine presented d’Albret with a pair of perfumed gloves. Known for her love of perfumes and potions, Catherine introduced France to the elegant, fragrant, and finely made gloves. When Jeanne d’Albret died soon after her arrival, the Huguenots claimed Catherine poisoned the gloves. On August 18, 1572, Margaret and Henri of Navarre married, making Henri the King of Navarre and Margaret his queen. Thousands of Huguenots attended the wedding, including Admiral Coligny, their leader. Two days later, Coligny was attacked and killed. The Huguenots blamed Catherine and her Catholic followers, and the uprising resulted in the St. Bartholomew’s Day Massacre. Charles, some say influenced by his mother, demanded that his soldiers “kill them all.” Hundreds of Huguenots died in the long battle, and Catherine’s name would forever be associated with their deaths. When her new son-in-law, the King of Navarre, converted to Catholicism to avoid being killed, Catherine is said to have laughed at him. From then on Huguenots branded Catherine as a scheming and evil Italian Queen who stopped at nothing to have her way. The outcome of the massacre took a toll on Charles’ already weakened mental and physical condition. He alternately blamed his mother and himself for the deaths of so many. Catherine referred to him as her lunatic son. When Charles died at age 24, some said Catherine poisoned him to make way for her favorite son, Henri who became King Henri III upon Charles’ death. Unhappy in her marriage to the King of Navarre, Margaret continued her affair with Henri de Guise and many others. Embarrassed at her daughter’s behavior, Catherine, through her son, the King, ordered Margaret’s kidnapping and imprisonment in the south of France, where she remained for 17 years. With his mother’s whisper always in his ear, Henri withdrew Margaret’s inheritance and had Margaret’s lover, Henri de Guise, and his family murdered at the Chateau de Blois. More of Margaret’s story can be found here. Under the rule of Henri III, France fell into a spiral of decline because of the religious war that continued to rage between the Catholics and the Protestants. Unable to make peace between the two religious factions, the Catholic League forced Henri to acquiesce to their demands, including paying for their troops. Unable to deal with the pressure, Henri went into hiding, leaving his mother to sign the Treaty of Nemours, giving the Catholics power once again. After Catherine died, Henri continued his mother’s legacy of ruthless rule which eventually led to his assassination. Catherine de Medici will live on in history as a woman of controversy. Some see her as wicked, an evil ruler who thirsted for power. Others see her as empowered, an intelligent female leader fiercely determined to protect her family and their legacy. How do you see this unforgettable woman who influenced the history of the Medici dynasty, the Valois dynasty, France, and Europe’s religious war?